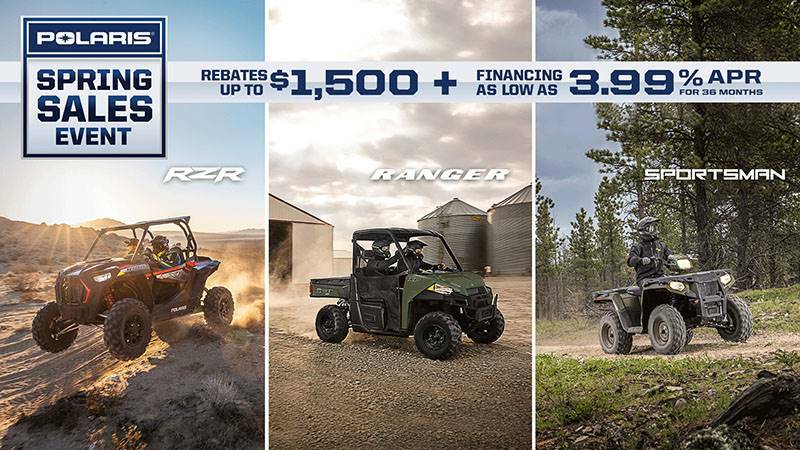 PROVEN RANGER PERFORMANCE: Power through the tough jobs with the purpose designed and built 570cc ProStar® 570 engine. This utility workhorse comes with class-leading 44 HP and Electronic Fuel Injection (EFI) to keep you moving in any weather. Count on the True On-Demand All Wheel Drive to give you the traction you need, when you need it. 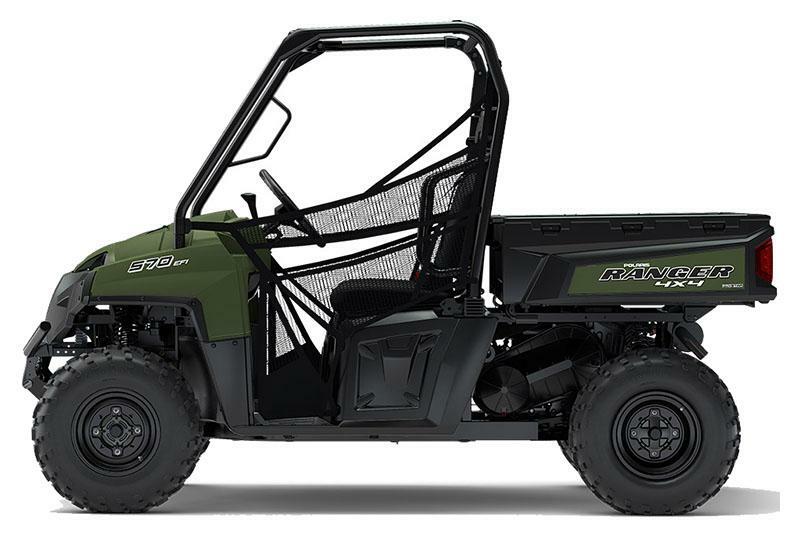 TRUE WORK HORSE: The RANGER 570 Full-Size easily handles the biggest loads with a massive 1,500 lb. payload and towing capacity, plus a durable composite gas assist dump box that holds up to 800 lb. Haul more, work harder and get more done in fewer trips. 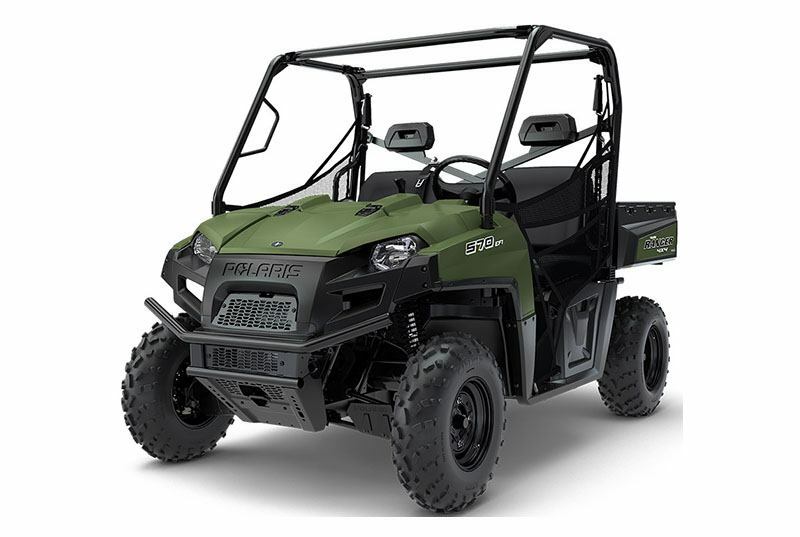 READY TO RIDE ON ANY TERRAIN: Whether you’re using your RANGER for work around your property or a recreational ride with your family, all 3 passengers will experience comfort. With 10.5” of ground clearance, 9” of up-front suspension travel, and 10” of independent rear suspension travel, you’ll navigate the toughest terrains and obstacles on the trail. COMFORT & CONVENIENCE: The interior cab of the RANGER 570® Full-Size seats 3 people and is equipped with 4 times more storage and 2 cup holders so you can comfortably take everything you need along for the job. FULL-SIZE PERFORMANCE. UNMATCHED VALUE: RANGER 570 Full-Size has proven quality and can handle the long work hauls and trail rides. It maintains 32 MPG and nearly 300 miles out of every tank of fuel. There’s no question this utility work horse is the best value in its class. STANDARD 2” RECEIVER HITCH: Connect your trailer to your RANGER with the standard 2” receiver and maximize the impressive 1,500 lb towing capacity.